Wow. Brand new account ? Anyone have experience with a Cap1 shutdown? Any chance to get it reopened? Tried a few reps on the phone never got it reopened. But I do have have a CC with them wasn't affected by the shutdown of the 360 account. Correct, but I do not think it is currently available. Ohh. Didn’t even realize that. Are lots of people getting this ? you quoted the post, why can't you also read it? i already opened the card with just the 500$ bonus. anyway to get it adjusted to a higher bonus? 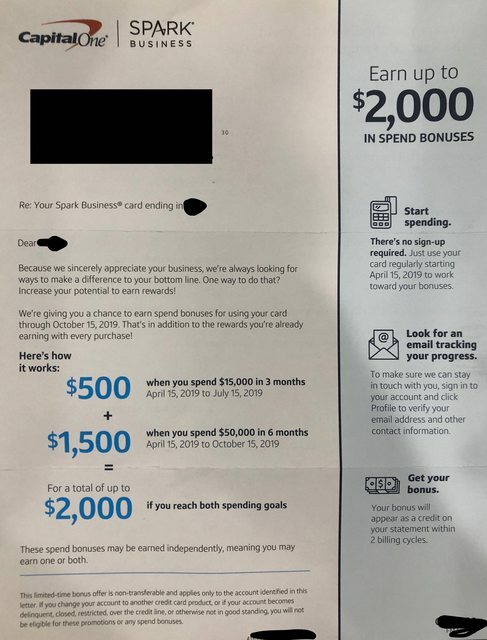 This is a spending bonus for current cardholders, not a sign up bonus.